This list, comprising 30 of the best cream teas served at tearooms and hotels around Cornwall has been compiled from a wide range of sources, such as Tripadvisor ratings/comments, previous awards, independent cream tea reviews, quality of ingredients used and general establishment character/setting. 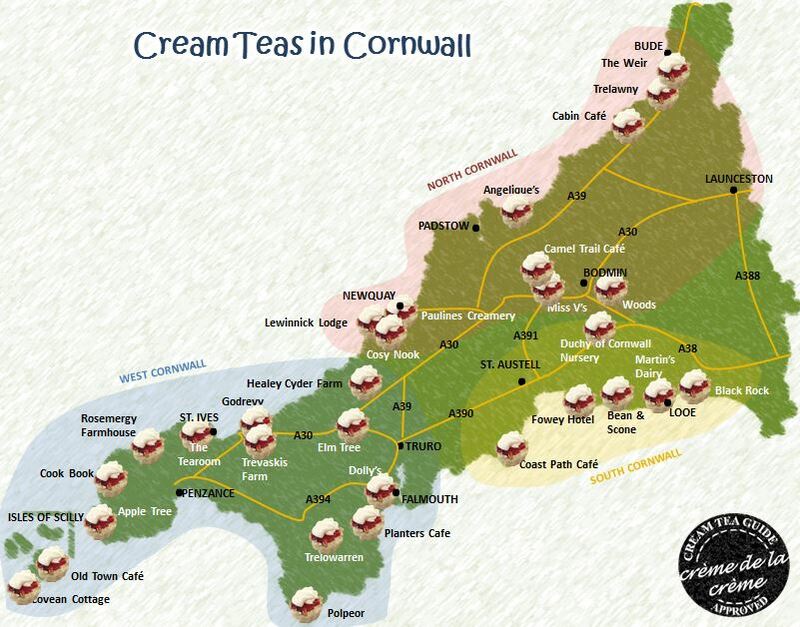 There are amply other fantastic cream teas in Cornwall not covered on this list so please contact us if you believe we’ve missed a hidden gem or if you’d like your tearoom or hotel to be considered. Our list has been created to cover all of Cornwall from the north and south Cornish coasts to the moorland and countryside. The information was correct at the time of writing this page but prices will certainly change overtime. 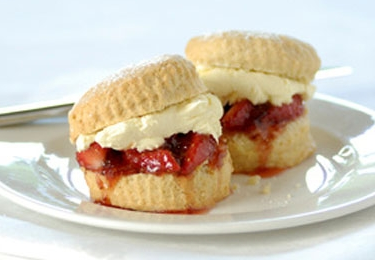 Also, see our 30 of the best cream teas in Devon page. A short drive from the bustling town of Newquay in North Cornwall is Crantock Village which dates back to 460 AD. The Cosy Nook is a lovely café with a charming little garden, perfect for sitting in the sun with a delicious cream tea. 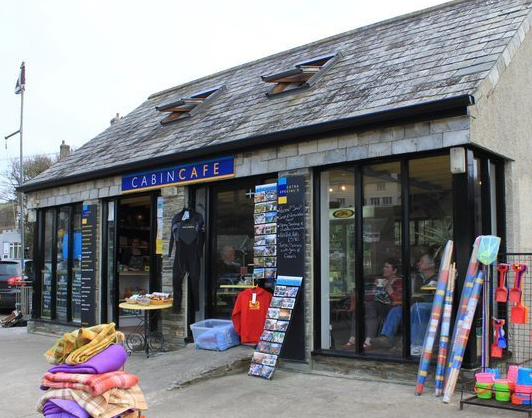 The café boasts a Certificate of Excellence from TripAdivsor and their cream teas were also listed by Visit Cornwall as one of the best in Cornwall. Consider heading to the cafe after a trip to the lovely Crantock beach. Nanscarne, Nanstallon, Bodmin, Cornwall PL30 5LG. The Camel Trail Tea Garden is situated half way between Wadebridge and Bodmin on the camel trail, Cornwall’s most popular cycle route. It’s set in a beautiful apple orchard with terraced areas, and has direct access to the Camel Trail for cyclists and walkers. 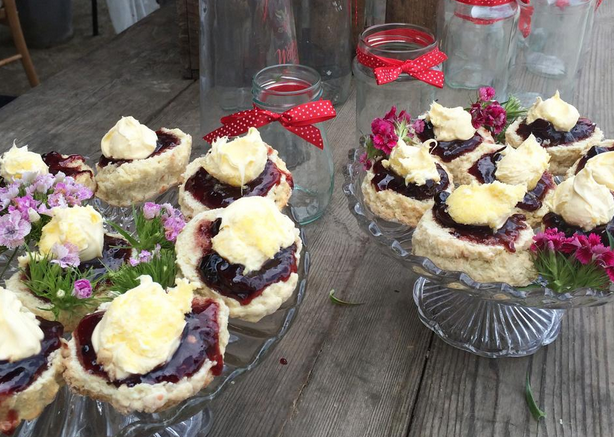 Their homemade scones come oven fresh with lashings of clotted cream and strawberry jam. The café has a Certificate of Excellence from TripAdivsor and their cream teas were listed by Visit Cornwall as one of the best in Cornwall. 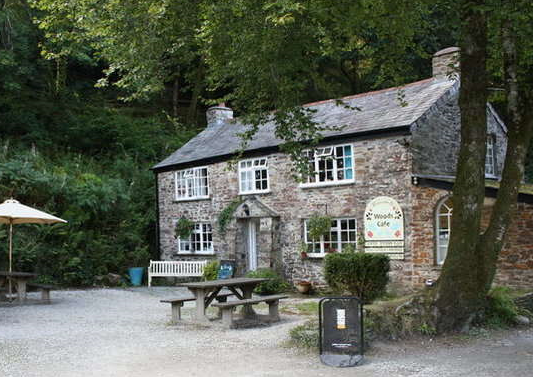 Woods Café is a family run cafe in the middle of the beautiful Cardinham Woods near Bodmin in Cornwall. They are passionate about serving delicious, homemade food using fresh and local ingredients. Their cream teas come with freshly baked scones and are served with the perfect accompaniment; a pot of Cornish Tregothnan tea or locally roasted ‘hands on’ coffee. The café is dog friendly with loads of outside seating and a lovely roaring fire for the winter. 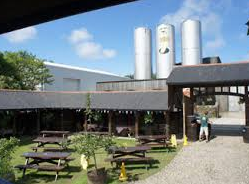 The Weir Restaurant in Bude, on the North coast of Cornwall, is set alongside a wildlife centre which is the perfect place to visit with children. Dogs are welcome in the garden and the wildlife centre offers some great walks. All food is cooked on site using only fresh ingredients sourced from the best local suppliers. 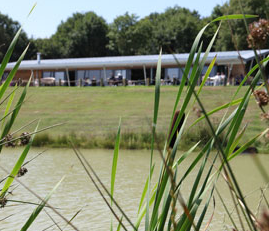 Cream teas can be enjoyed in the restaurant which has sweeping views down to the fishing lake. 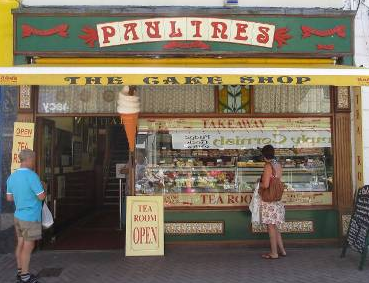 Pauline’s is located in the centre of Newquay and has been run by the same family for over 25 years. It’s hard to walk past the scrumptious window display without being tempted by the huge scones and pots of jam and clotted cream. They also do an amazingly gooey chocolate cake and a juicy carrot cake, with all of the cakes baked on premises, their aim being to make them as moist, rich, tasty and naughty as possible. 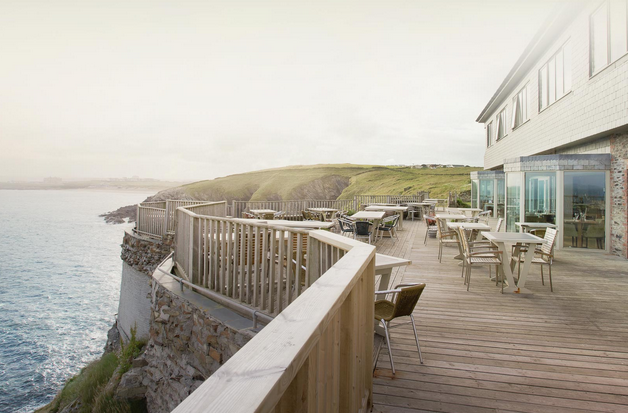 North Cornwall’s Lewinnick Lodge is a lovely restaurant perched on the cliff-top of the Pentire headland that has panoramic sea views. It’s a stones throw away from one of Cornwall’s favourite surfing destinations, Fistral beach in Newquay, where families can enjoy surfing lessons under safe instruction from expert local surfers. Their cream teas come with a very generous dollop of delicious clotted cream and can be walked off along the South West coastal path that runs past the restaurant. Step back in time at the lovely Angelique’s Tea Room in Port Isaac, a small and picturesque fishing village on the Atlantic coast of north Cornwall. Made famous by the TV series Doc Martin, strolling around Port Isaac makes for a great day trip. At Angelique’s Tea Room home-baked scones are served with local jam and Cornish clotted cream. 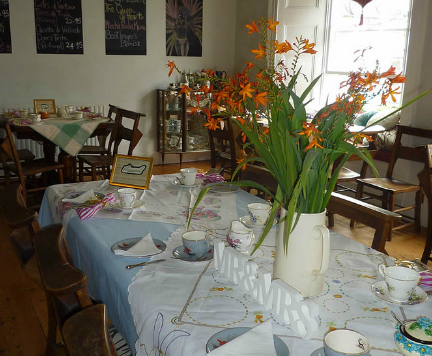 They use pretty china crockery, traditional tablecloths and cream teas are accompanied by a pot of loose leaf tea. 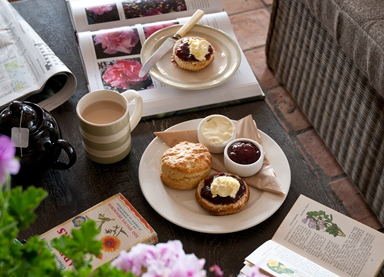 Cream teas can be enjoyed under an outside veranda or inside the two cottage-style rooms with delightful window tables. Miss V’s is located on the ‘Old Nursery’ grounds next to the beautiful St Just-in-Roseland church. It’s set amongst semi-tropical gardens on the riverbank of the Fal estuary and is easily accessed from the coastal path to St Mawes. They have outside seating and a Gazebo for shelter from rain or sun. 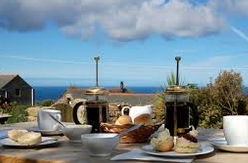 Their cream teas are highly regarded and they were listed on Cornwall Life’s Top 5 Cream Teas in Cornwall. Miss V’s traditional Cornish cream tea comes with freshly baked homemade scones, homemade jam and Trewithen Dairy Cornish cream. They also specialise in tea parties, weddings and events. 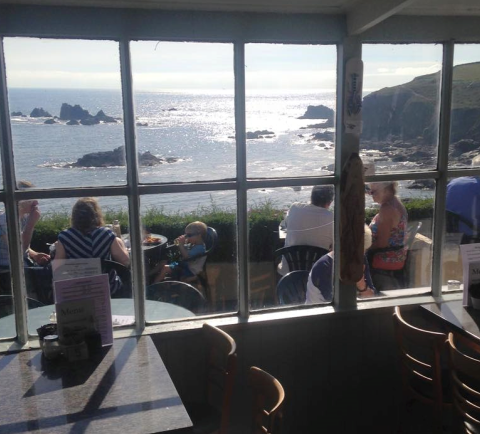 Cabin Café is nestled in the picturesque hamlet of Crackington Haven, a historical Cornish cove sandwiched amongst the dramatic coastline of North Cornwall. 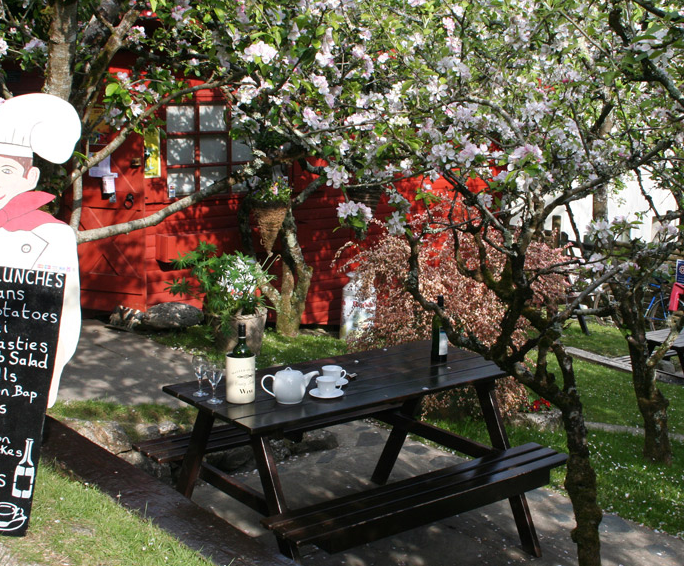 The Cabin Café offers a cream tea with a view of the spectacular north coast. 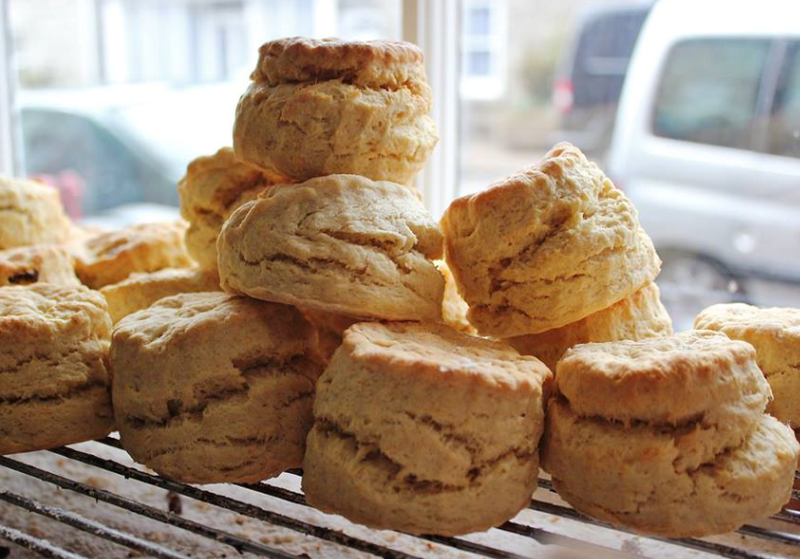 Andrea’s homemade scones can be enjoyed inside on the sofa or outside in the fresh Cornish air. Their cream teas were listed as one of the best in the county by ‘That’s My Cornwall Magazine’. 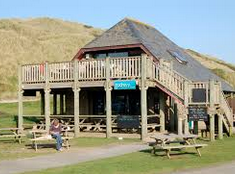 Trelawny Tea Room is a family-run tearoom overlooking the surf spot of Widemouth Bay. Finish off a coastal walk, bike ride or surf at Trelawny’s who serve up homemade delights and irresistible cream teas to get you ready for the road again. Their cream teas come with the finest Boddingtons jam and Roddas clotted cream. 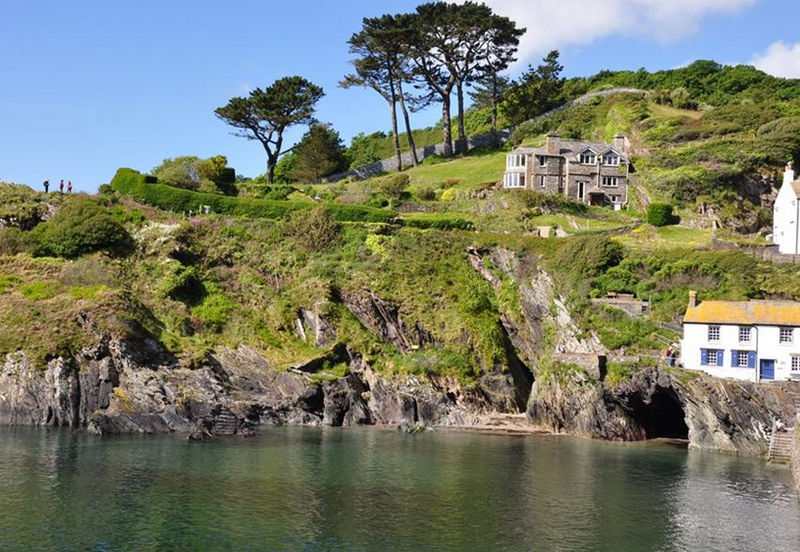 The town of Fowey is tucked away on the picturesque south coast of Cornwall, alongside the River Fowey which is one of the deepest rivers in the world. 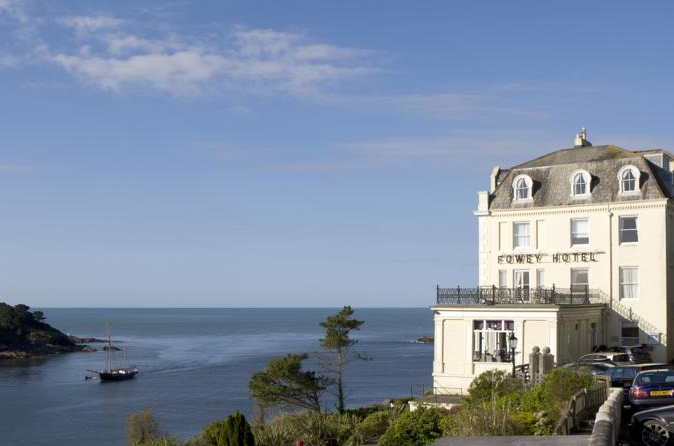 The Fowey Hotel has great views of the town and the river flowing out to sea. Cream teas come with a pot of loose leaf tea, two scones, locally made strawberry preserve and thick Cornish clotted cream. The Duchy of Cornwall Nursery at Lostwithiel has been a haven for local gardeners for over 35 years. It has a fantastic tearoom that specialises in local produce and almost everything you eat is homemade on the premises. 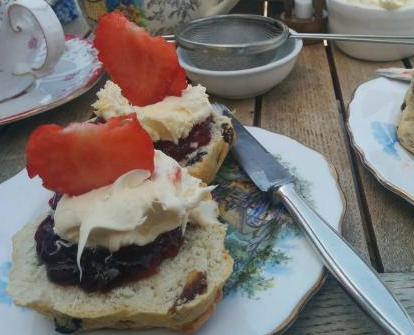 They do a wonderful cream tea with large homemade fruit, plain or cheese scones. In summer, cream teas can be enjoyed on the terrace with views of the 13th century Restormel Castle in the distance. Martin’s Dairy in East Looe of the eastern end of the south Cornwall coast was established and run by the Martin family in the early 1900s. This dairy and bakery shop is complemented by a pleasing café where huge homemade scones are served with lashings of local jam and the dairy’s own clotted cream. 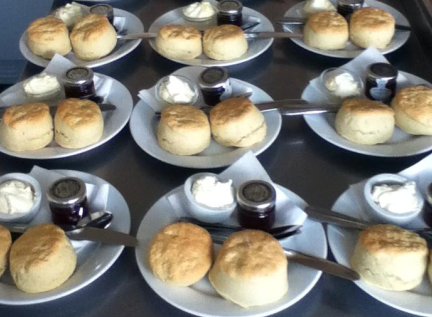 Cream teas can either be eaten in or taken away to be enjoyed sitting on Looe harbour overlooking the estuary. This quaint little café in Polperro, a village and fishing harbour on the South East Cornwall coast, has been serving satisfied customers since 2005. Their cream teas come with a variety of gorgeous homemade scones including their apple scones and they also offer a savoury cream tea. 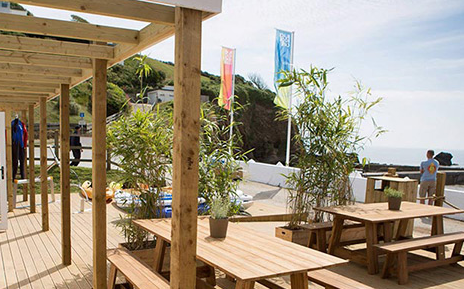 Black Rock Café is located in the village of Millendreath, near Looe, which has its own south facing beach perfect for water sports, rock pooling and seaside days out. The café has a ‘Certificate of Excellence’ TripAdvisor rating and its delicious traditional Cornish cream teas can be enjoyed with a stunning sea view. Dolly’s is a dog friendly tearoom and wine bar set within a beautiful Georgian room, in the centre of Falmouth. Head up the creaky stairs and be transported back in time to enjoy a traditional Cornish cream tea of the highest quality. Open Times: Summer: Sunday, Tuesday and Wednesday 2pm-4.30pm, Thursday, Friday and Saturday 10.30am – 4pm. Check Facebook page for hours. The Coast Path Café is set in the fishing village of Gorran Haven, on the south coast of Cornwall in a cove between two sandy beaches, about 2 miles south of Mevagissey. They serve the best homemade cakes and have seating inside or outside with a fantastic sea view along the Cornish coast. 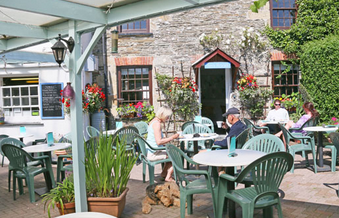 Set in beautiful Cornish countryside The Elm Tree tearoom provides a place to relax and unwind. They offer a traditional cream tea or a savoury cheese tea that boasts Cornish cheese, soft cheese and chutney. Visit Cornwall and Cornwall Life list the Elm Tree amongst the best cream teas in the county. 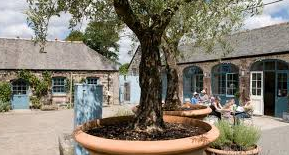 They serve fresh organic and fairtrade bean to cup coffee and tea in vintage teacups, which can be enjoyed within the peaceful garden area throughout summer. The Polpeor Café is a traditional little café right on Lizard Point at the most Southerly point on mainland Britain, often making it sunnier here than elsewhere in Cornwall. The outside terrace has glorious views out to sea so have a cream tea whilst watching passing seals, cormorants, gulls and choughs. There’s also inside seating for when you need to shelter from the British weather. 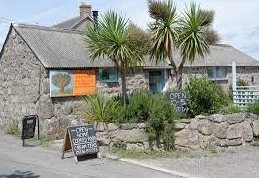 The Cook Book in St. Just near Penzance is West Cornwall’s dog friendly café and book shop offering home-made cakes along with around 5,000 second hand books in three separate rooms upstairs. Their cheese teas consisting of a homemade apple and walnut scone, a homemade cheese scone made with Cornish cheese, three Cornish cheeses, homemade red onion jam, a side salad and tea are a special treat. Cream teas are a true Cornish feast containing two homemade scones, Roddas Cornish Clotted Cream, delicious Boddington’s Strawberry Jam from Mevagissey and a wide choice of teas. Visit this real working cider farm that makes over 40 varieties of delicious fruit products, including farm scrumpy and sparkling cider. After a tour of the orchard and cider samples, take a seat in the picnic area and indulge in a delicious Cornish cream tea. Try their unique Cyder Farm Cream Tea including 2 homemade apple & cider scones, Healy’s Scrumpy apple & bramble jam, a dollop of Cornish clotted cream and a pot of tea for one. A stones throw from Gwithian, one of the most beautiful and best surfing beaches in Cornwall, is Godrevy Beach Café. The café prides itself on fresh, wholesome and hearty contemporary food with lots of luxurious homemade cakes. 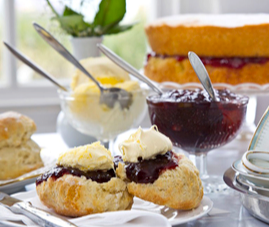 Treat yourself to a cream tea after a walk on the wildlife rich headland with dramatic views of the coves and cliffs of the north Cornwall coast. Trevaskis Farm is set amidst 28 acres of beautiful countryside just outside Camborne. 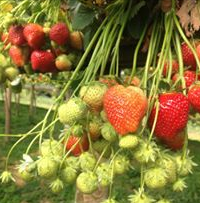 It’s great for a perfect family day out where you can pick your own fruit and vegetables grown on site, with information signs dotted around the farm park. Best of all, farm entrance is free and you only pay for what you pick. The farm restaurant is renowned for its generous portions and their homemade cream tea is no exception, an ideal treat after fruit picking. Trebah Garden, near Falmouth, is a sub-tropical paradise with a stunning coastal backdrop. Discover the magic of this beautiful Cornish valley garden with over four miles of footpath that even leads to a secluded private beach on the Helford River. 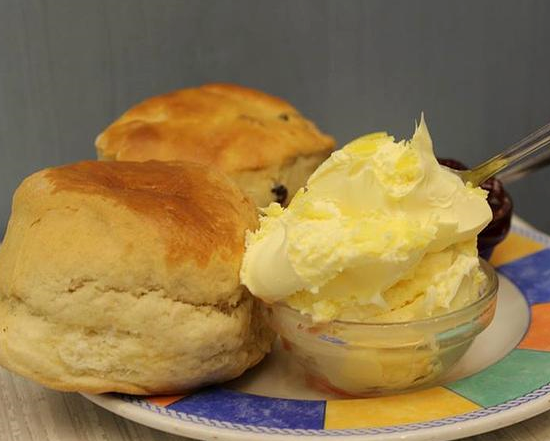 The Planters Café serves a wonderful cream tea with warm scones, Cornish clotted cream and a pot of Tregothnan Tea. The café has a nice outside terrace overlooking the gardens. Near the tip of Land’s end, The Apple Tree Café is a lovely family-run café. The café is family and dog friendly with ample parking and a sunny garden to enjoy a cream tea. They have a vast array of homemade delights, including gluten free and vegan options. Cream teas are served with homemade scones, Trewithen clotted cream, Boddington’s jam and Clipper Tea. Rosemergy Farmhouse is a quaint family-run farmhouse deep in the west of Cornwall on the coast midway between St. Ives and St. Just. 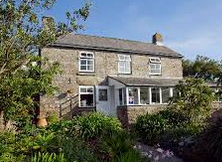 Their delightful garden has stunning sea views onto the Atlantic Ocean and the North Cornish moors. All cakes and scones are homemade and can be enjoyed in the comfort of the spacious dining room or in the lovely garden. Their cream teas are highly recommended and both Cornwall Life and That’s My Cornwall magazines have listed their cream tea as among the best in the county. Trelowarren sits at the centre of The Lizard, a Nature Reserve and Area of Outstanding Natural Beauty, with unique geology and wildlife. The estate is set within 1,000 acres of pasture and woodland leading down to the Helford River. Cornish cream teas are served at double AA rosette-holding New Yard Restaurant, which uses fresh, locally sourced, seasonal Cornish ingredients to cook some of the best food in Cornwall. Covean Cottage Guesthouse and Cafe is on the intimate island of St Agnes, Isles of Scilly. Here you can escape the hustle and bustle of the modern world and unwind among the beautiful and tranquil islands that make up the Isles of Scilly, 28 miles across the sea from the Cornish coast. Covean Cottage’s exceptional cream teas, including two freshly made scones and local Troytown Farm Clotted Cream, served with an Atlantic view, are worth travelling for. On St. Mary’s, the largest islands that make up the Isle of Scilly, Old Town Café is located in Old Town, which makes for a nice walk, either around the coast or in-land across the nature reserve. 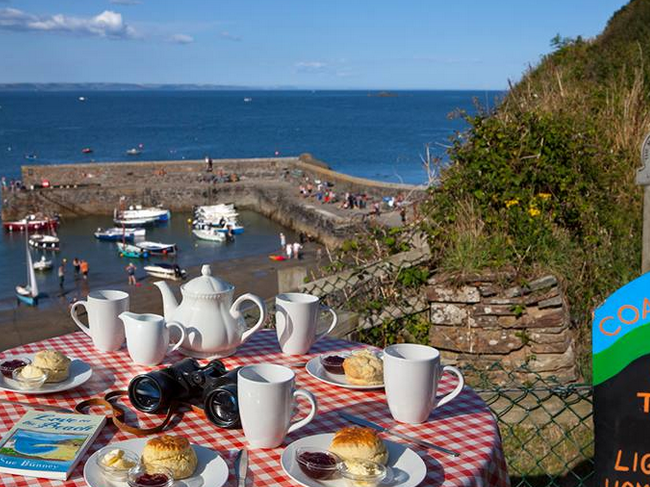 Cream teas can be enjoyed inside or outside with lovely view of the old quay. 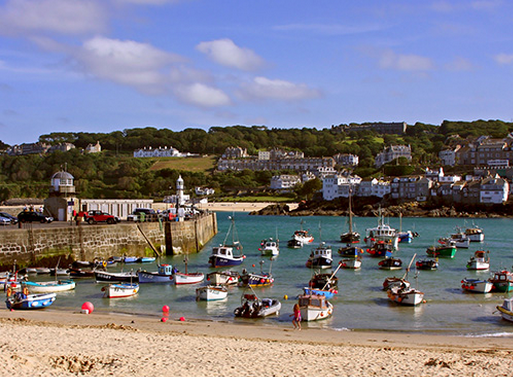 St Ives, widely regarded as the jewel of Cornwall’s crown, is a beautiful seaside town, set in breathtaking coastal scenery. The family run The Tearoom St Ives serves up great home cooked food. Their cream teas come with two homemade scones, local Boddington’s strawberry jam, Roddas clotted cream and a pot of loose-leaf tea for one. 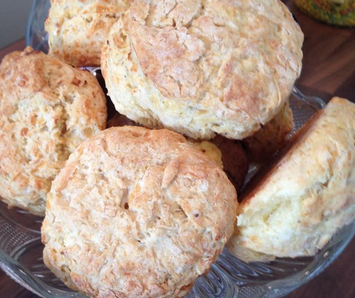 Both plain scones and cheese scones are available gluten free. What about Lanyon tea room in bosullow? You missed The Waymarker they have awards for their cream teas!